How do educators and activists in today’s struggles for change use historical materials from earlier periods of organizing for political education? How do they create and engage with independent and often informal archives and debates? How do they ultimately connect this historical knowledge with contemporary struggles? Six chapters foreground insights from the breadth and diversity of South Africa’s rich progressive social movements; while others explore connections between ideas and practices of historical and contemporary struggles in other parts of the world including Argentina, Iran, Britain, Palestine, and the US. 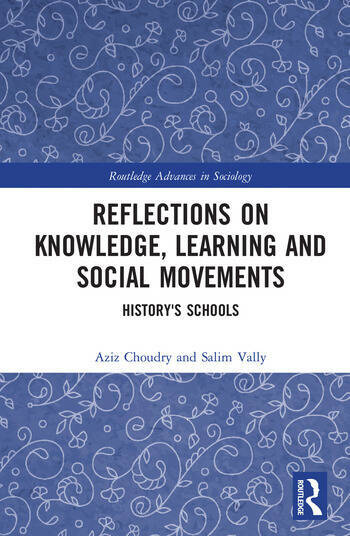 Besides its great relevance to scholars and students of Education, Sociology, and History, this innovative title will be of particular interest to adult educators, labour educators, archivists, community workers and others concerned with education for social change. Aziz Choudry is Associate Professor and Canada Research Chair in Social Movement Learning and Knowledge Production in the Department of Integrated Studies in Education, McGill University, Canada. He is a visiting professor at the Centre for Education Rights and Transformation, Faculty of Education, University of Johannesburg, South Africa. Salim Vally is Associate Professor at the Faculty of Education and Director of the Centre for Education Rights and Transformation, University of Johannesburg, South Africa. He is also a visiting professor at Nelson Mandela University, South Africa.